Somewhere in the darkest recesses of Hollywood, someone is still allowing this guy to star in major motion pictures. The end is nigh. 8-Track Collection - Seems like a good deal. It's been quite a while since I've gone back to the wrestling well and I felt this was a great event to take us back. What we have here is the last Wrestlemania before the WWF started its eventual mid-90s slide that it never seemed to recover from. Sure, Wrestlemania IX is passable. Wrestlemania X isn't that bad. But Wrestlemania XI sure is awful. One can look at VIII of the last great "hurrah" from the pinnacle of pro wrestling. It isn't the best Wrestlemania, but I would say that it is definitely worth seeking out. We have Jake "The Snake" Roberts' final match during his original run (a crushing defeat by The Undertaker, who singlehandedly dragged the WWF into whitey-world, but that is a whole other article). There is an incredible Intercontinental title match between "Rowdy" Roddy Piper (champ) and Bret "Hitman" Hart (challenger). I could watch this match on a continuous loop. It is everything wrestling should be. There is even blood, something that McMahon had banned in those days. Apparently they were punished afterwards. Speaking of blood, there was also illegal bleeding in the magnificent WWF World Title match between "The Nature Boy" Ric Flair (champ) and "Macho Man" Randy Savage (challenger). 2 illegal bleedings? There is reason enough to love this right there. And these 3 matches are just in the first half. "The title match is in the first half?" you are asking. Like I said, this is when things started going downhill. This was a double main event so the card is broken in two halves. What kills me is the title match is smack dab in the middle of the event. You're telling me that a non-title snoozefest between Hulk Hogan and Sid Justice aka Sid Vicious aka Psycho Sid was more important or entertaining than Flair vs. Savage? 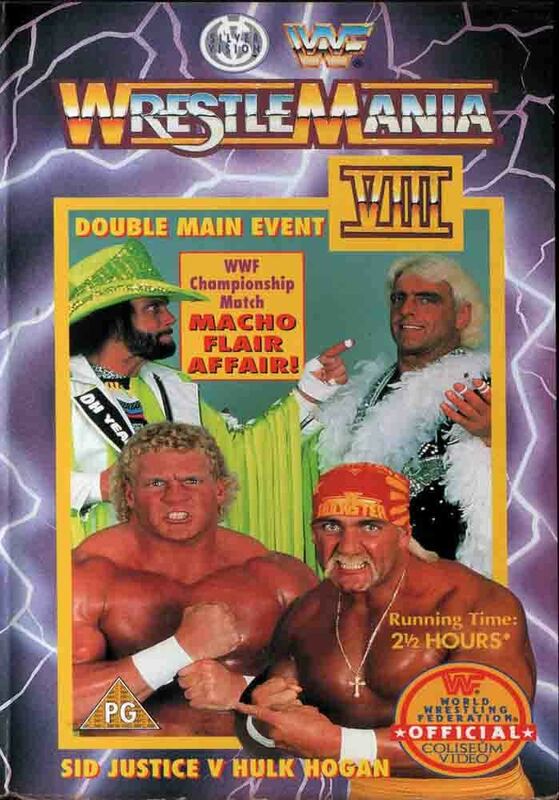 However, the Hogan match does finish with a surprise run-in by The Ultimate Warrior, who had quietly disappeared about 8 months before, and event that when seen live at home caused young Biff and Cdog to burst from our seats and jump up and down uncontrollably. So there's that. The event is rounded out by some other solid matches, including Tito Santana vs. Shawn Michaels, Owen Hart vs. Skinner aka Steve Keirn and an 8-man tag pitting Big Boss Man, Virgil, Sgt. Slaughter and "Hacksaw" Jim Duggan against The Nasty Boys, Repo Man aka Smash and The Mountie aka Jacques Rougeau. All in all, you have a wonderful wrestling super extravaganza. And the end of an era. Apparently this lady was mad famous for her home-spun yarns about cheatin' dudes, country music style. But sumbitch, I ain't never heard of her. She certainly is a strong woman though, as evidenced by the championship-like belt that is keeping that tablecloth attached to her timeless ensemble. Oh, ladies of the 80's. So much clickin' and a-clackin' of the cheap jewelry. It's like they were an unknowing one-woman percussion section. Anywho, seeing as this is female country pop, I was hoping for a heapin' helpin' of parenthetical song titles, but there's only two: "I'm Not the Reason (He's Not Your Man)" and "Come Back (When You Can Stay Forever)." Pretty good, but not great. The songs will take you back to a simpler time, when everybody's mom had that haircut. But the Tex-Mex tablecloth/shawl combo? 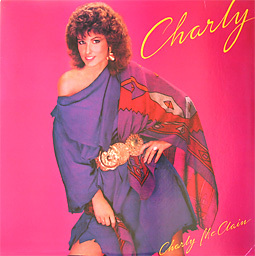 Pure Charly. in the penal colony - A short story by Franz Kafka, also an extremely literary way to describe the groin area. Origin - Kafka + crotch = fun. Usage - "Dude, these super bros are unrelenting. I may be forced to take evasive action." "Dude, fear not, brohaim. These sweet bros are no match for my quick wit." "Dude, what do you mean? What is your plan?" "Dude, I'm going to walk up to the sweetest bro in the pack, ask him what time it is, and then swiftly quick him in the penal colony."